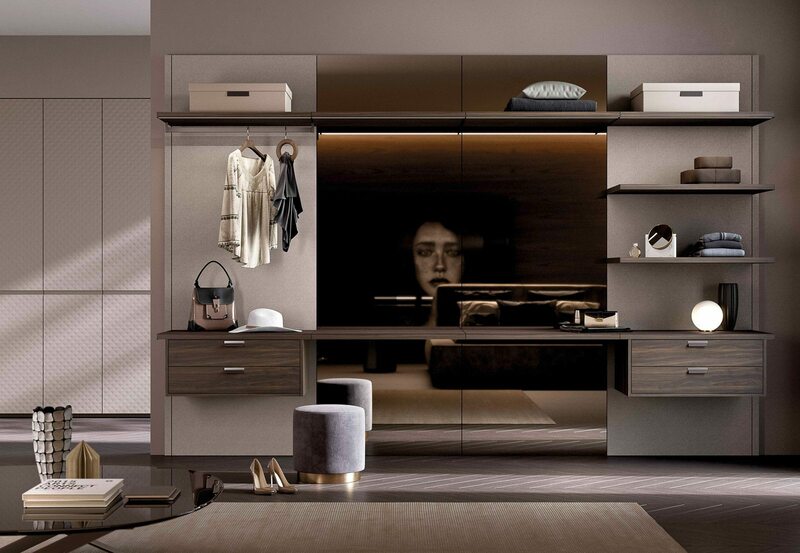 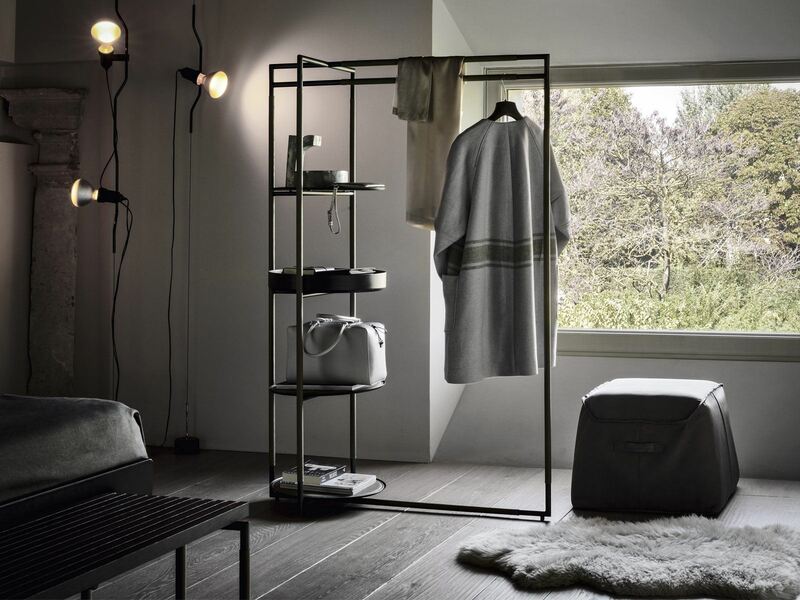 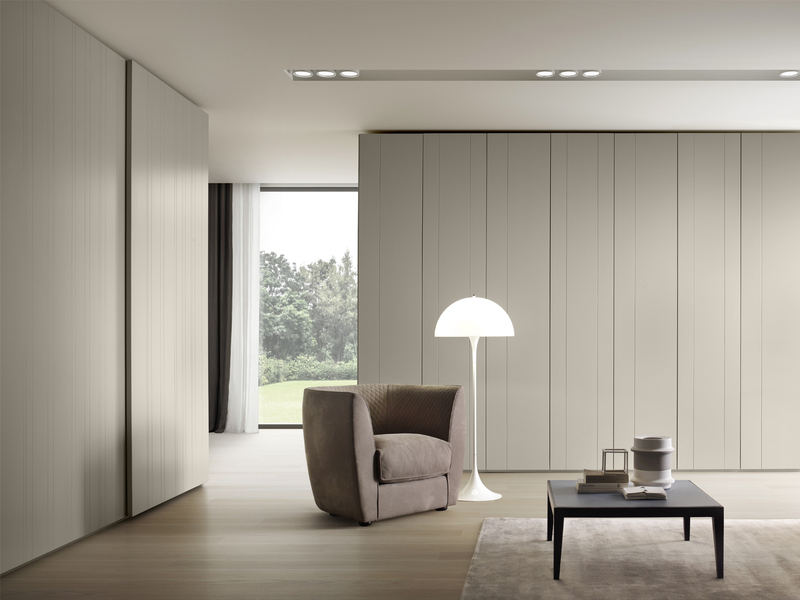 Once again Presotto’s design is beauty that comes from a simple shape; from a detail. 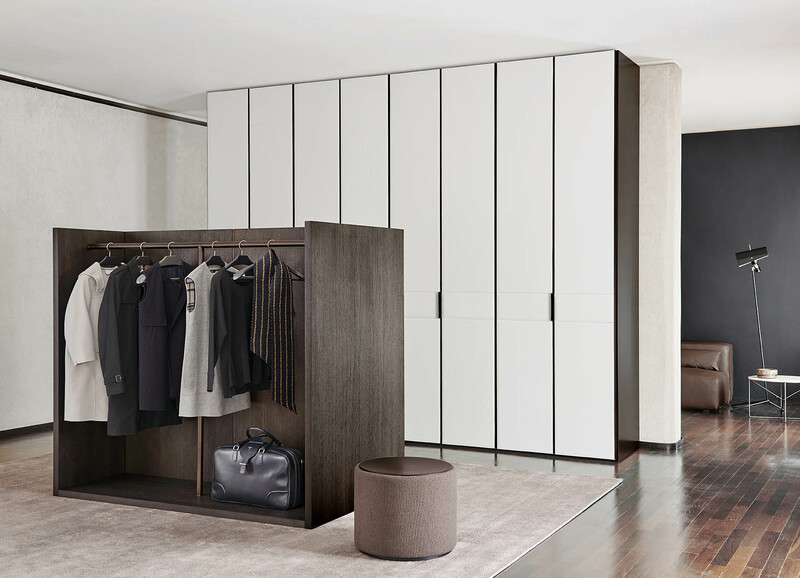 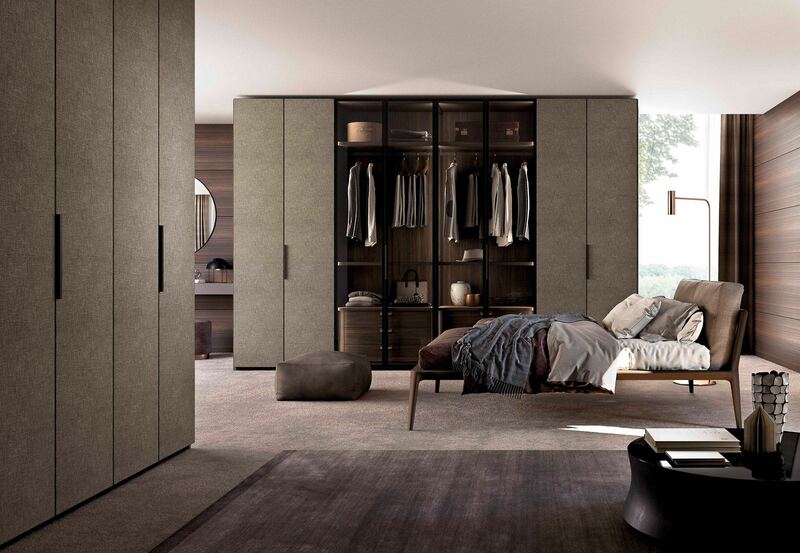 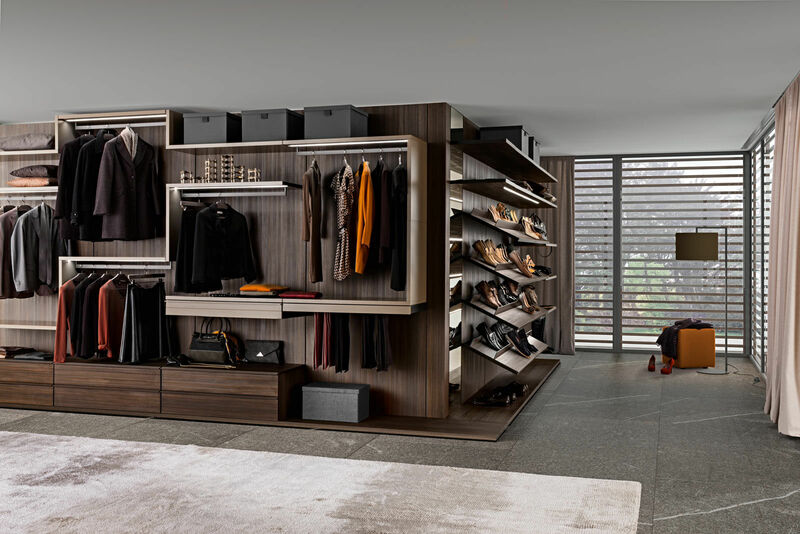 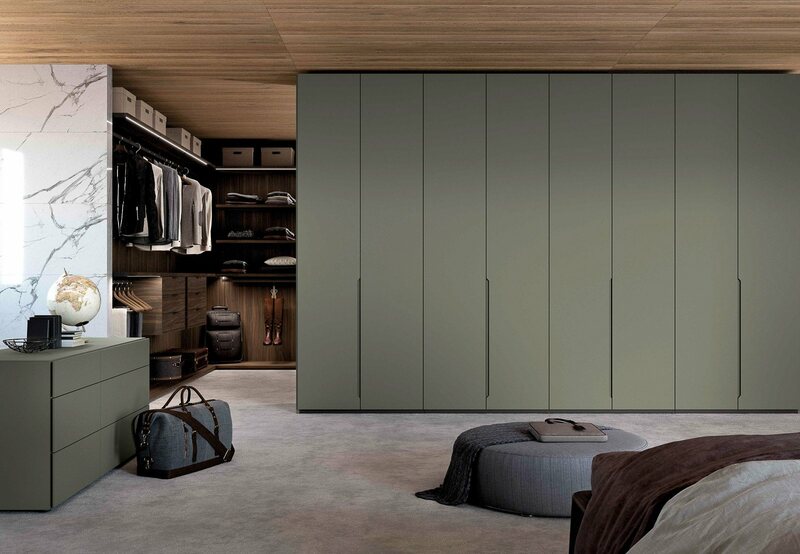 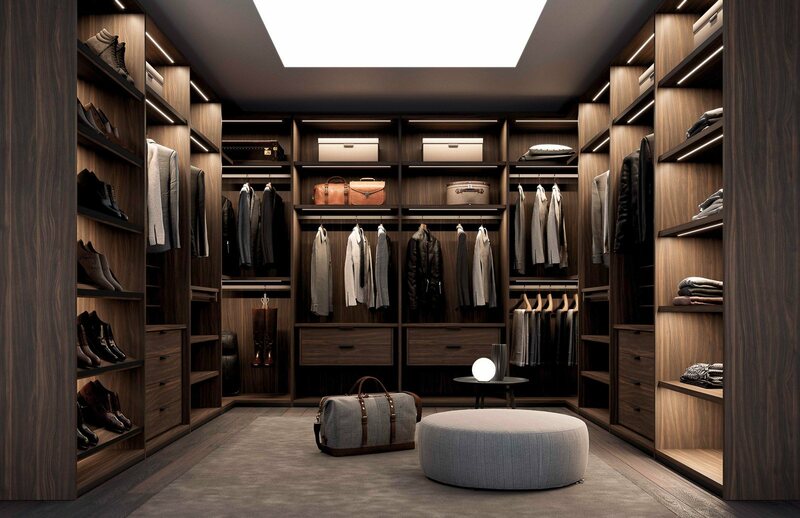 Even the Alibi hinged wardrobe has a perfect structure. 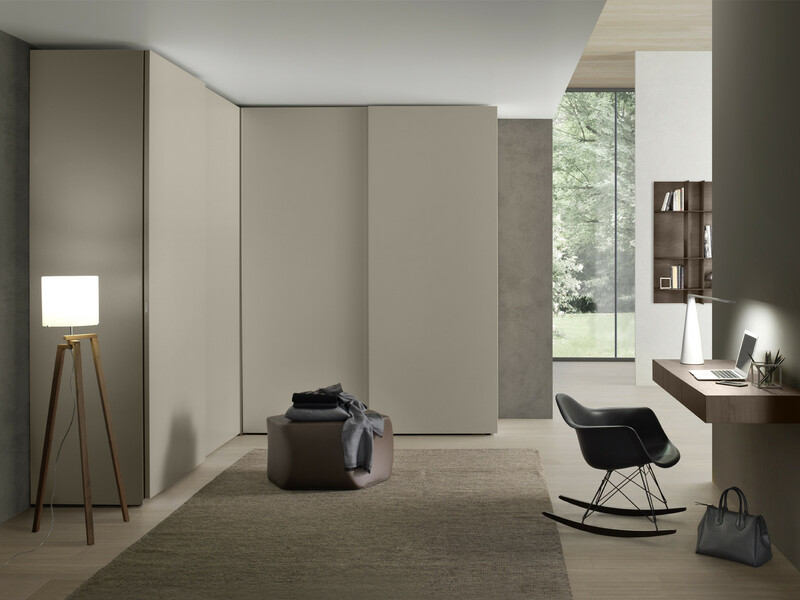 the only features that interrupts its linearity are the colourful geometric shapes in different sizes and shades that conceal the handles. 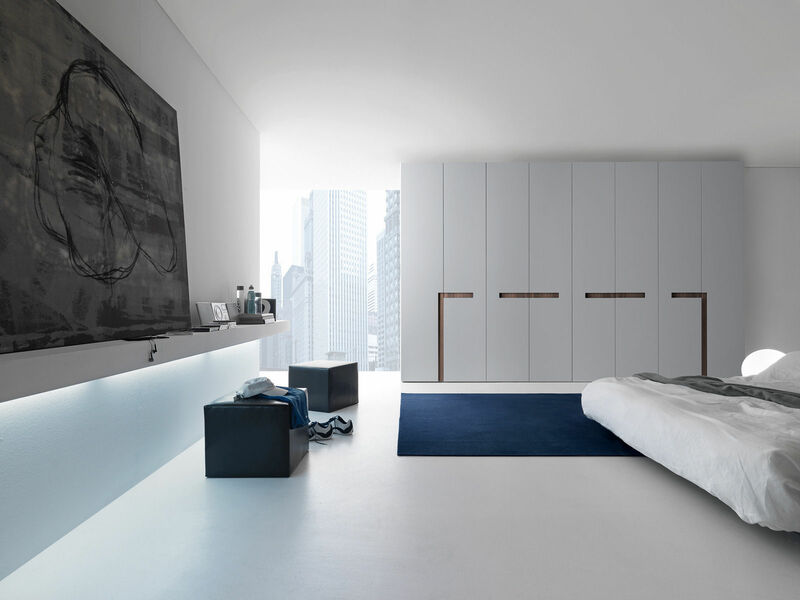 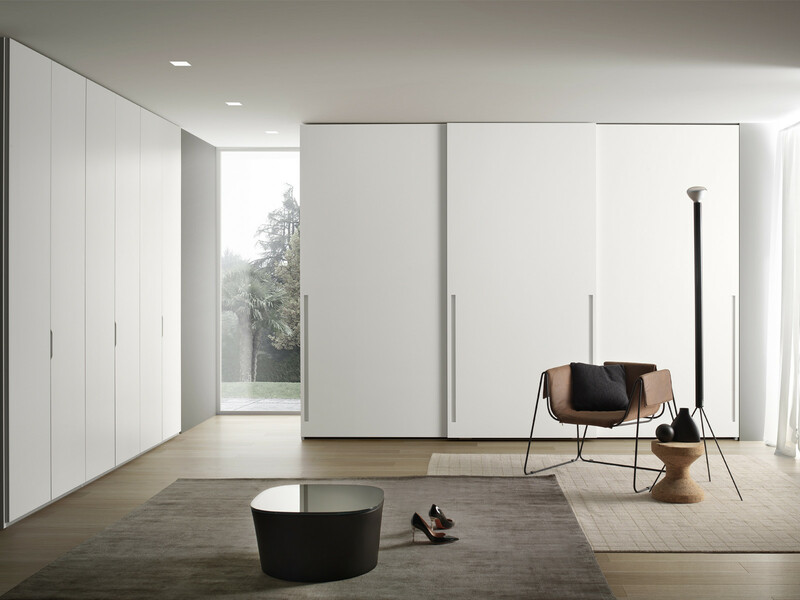 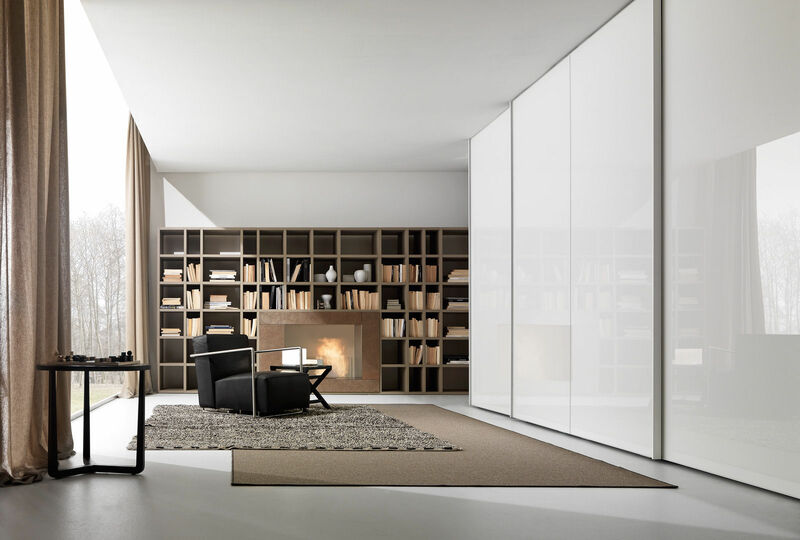 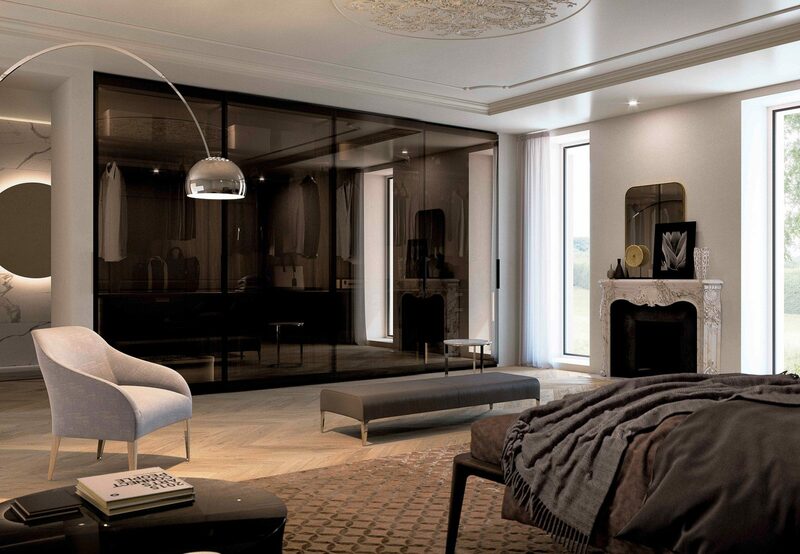 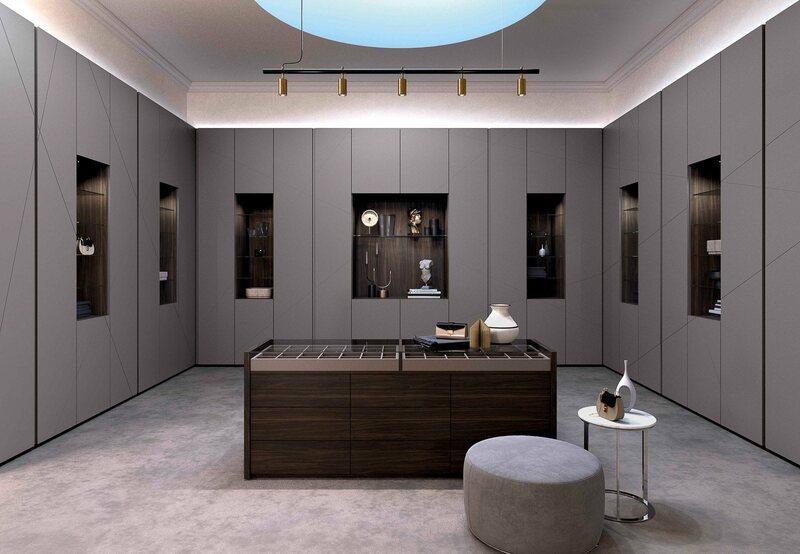 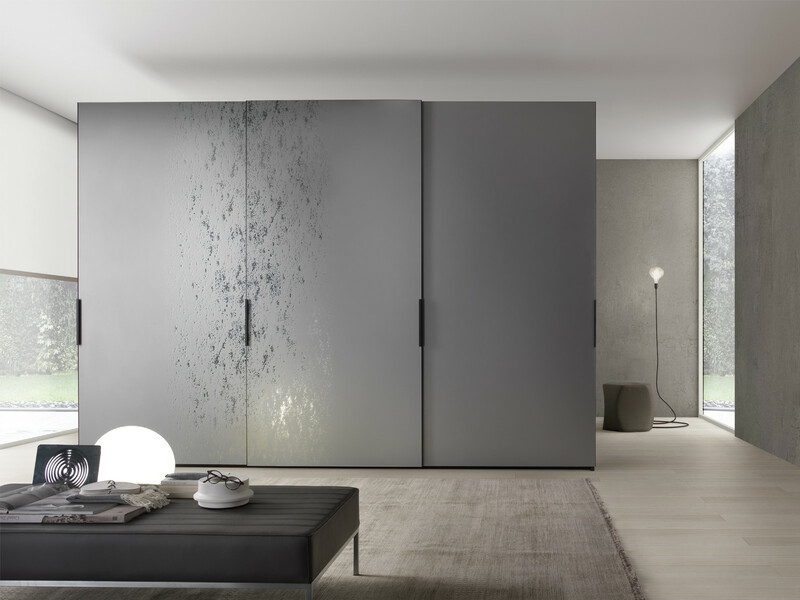 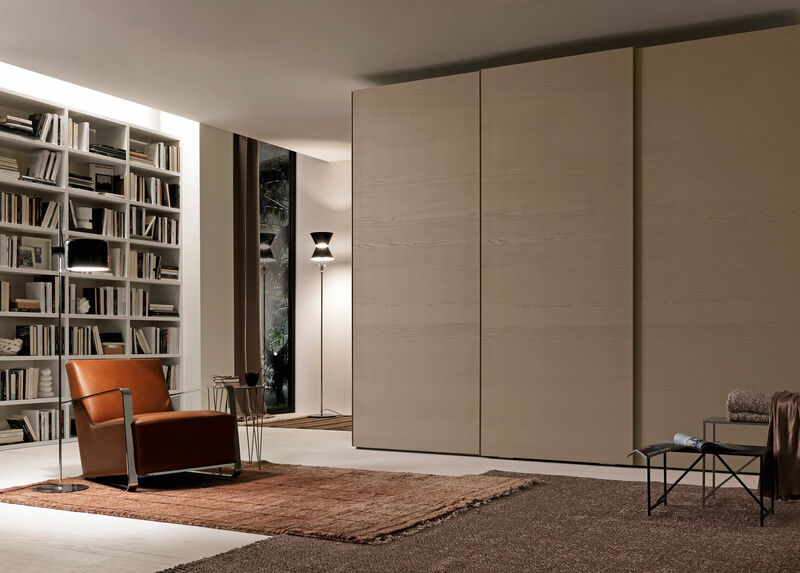 The hinged door is composed of a panel and a sunken handle insert in various finishes. 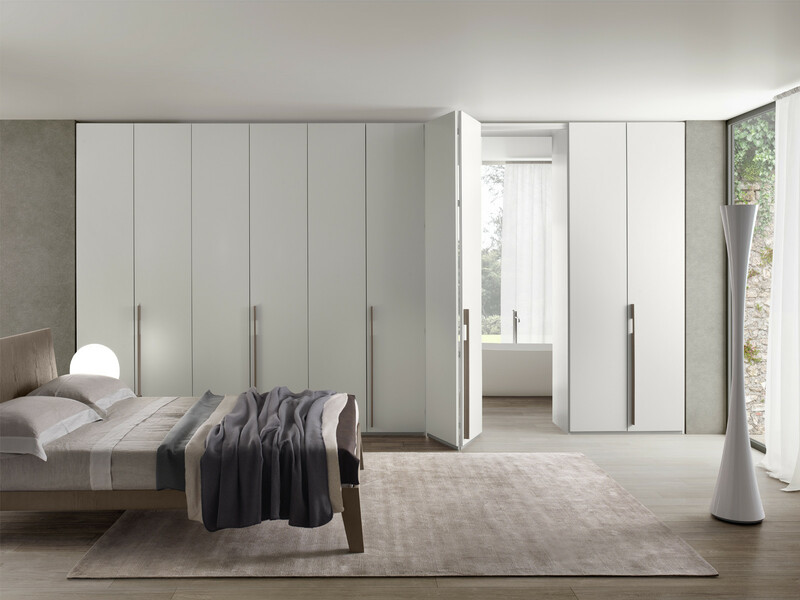 The handle inserts are available in 5 different sizes. 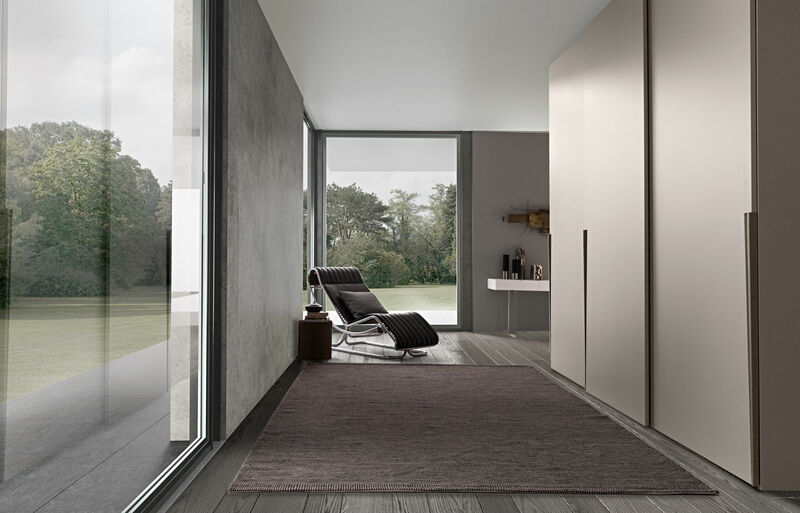 The door can be customised in terms of the handle insert that can be horizontal or vertical. 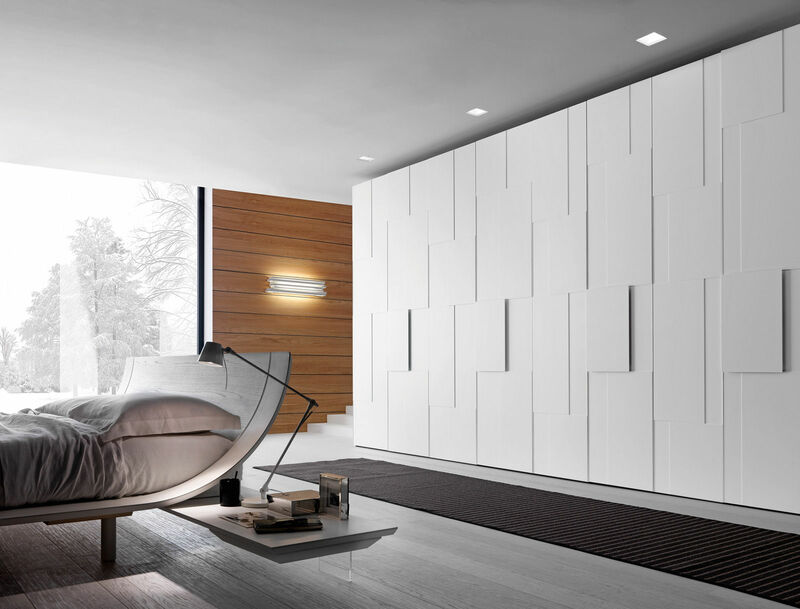 The finishes go from single-coloured to high gloss, leather or stone.